The IVS-200M Inverted Vertical Spindle Turning Center provides maximum stability and high accuracy positioning for high-volume production applications. The machine headstock moves to the incoming conveyor to pick up the workpiece. This internal automation reduces cycle time and additional costly robotics. The IVS-200M also features a 12 position turret with Rotary Tool capability to complete operations that may require additional set ups. Peripheral machine automation can be custom configured to specific application requirements. 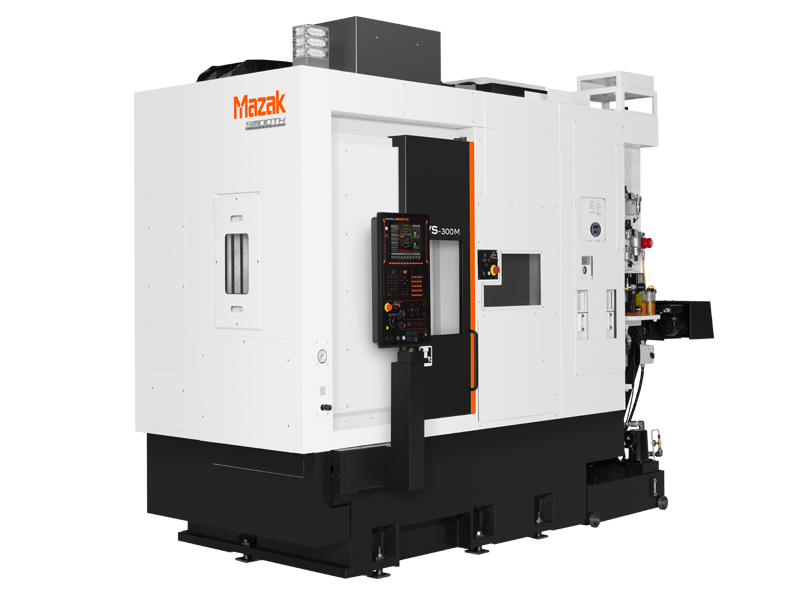 Mazak can supply the automation, part que stations, tooling and gauging for a complete system, single or multiple machines. All this combined in a compact footprint with maximum accessibility for part and tool setups.